You don’t always need a plan. 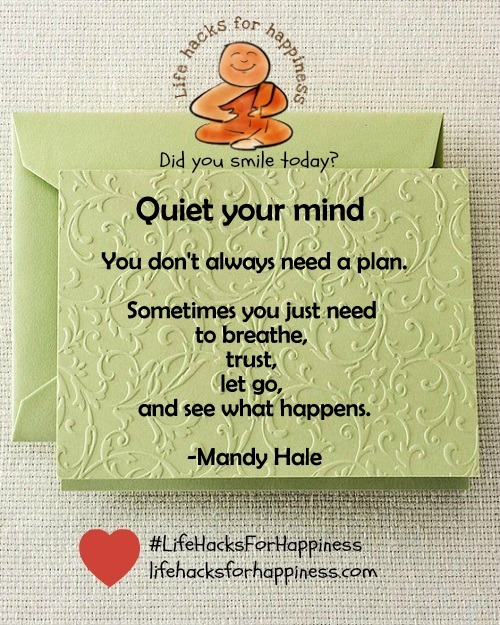 Sometimes you just need to breathe, trust, let go, and see what happens. -Mandy Hale. Take time to quiet your mind.